We all have 24 hours in a day and we all need air to breathe. It does not matter who you are. We all have at least these two things in common. How you spend your 24 hours is up to you, and now the quality of the air you breathe at home is up to you as well. Did you know that 80% of the germs, bacteria, and viruses that are in your home are transmitted from the surfaces you touch in your home? The Air Scrubber reduces up to 99% of micro-organisms s on the surfaces of your home and 90% of the airborne mico-organisms. The EPA ranks indoor air pollution as one of the top 5 environmental health risks. The best way to control this pollution in your home is to eliminate the pollutants. How does the Air Scrubber work as an air purifier? The Air Scrubber was developed with Space Age Technology originally developed by NASA, the Air Scrubber uses a germicidal UV light waves in combination with a catalytic process that creates a cleansing process made up of oxygen and hydrogen to clean the air inside your home reducing air pollutants, chemical odors, cigarette smoke, pollen, dust, mold, odor causing bacteria and odors from pets and cooking. 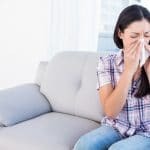 Who benefits from the Air Scrubber air purifier? I have a filter in my HVAC system, why do I need the Air Scrubber? 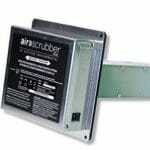 The Air Scrubber is 50 times more powerful than the HVAC filter you have in your system. Thirty minutes after installing the Air Scrubber, 90% of the pathogens in the air were eliminated. 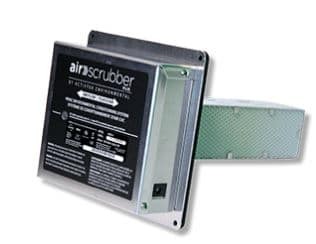 The Air Scrubber was tested by the most respected labs in the industry. Names like Kansas State University and The University of Cincinnati were involved in the effectiveness research for the ActivePure technology that the Air Scrubber uses to reduce the particulates I the air and contaminants on surfaces. Where is the Air Scrubber installed? The Air Scrubber is easily installed into the ventilation system and actively treats the air utilizing the key components: the honeycomb surface is coated with a titanium oxide and proprietary formula of reactive metals and the UV light. A 4” square cut is made in the ductwork and above the HVAC air handler. It will not be seen inside your home. Protect your family and your home from dangerous contaminants. Eliminate germs and pathogens on every surface of your home, tables, countertops, bathrooms, doorknobs and furniture. Breathe cleaner air inside your home and eliminate odors from pets and cooking. Call (402) 477-1371 or contact the HVAC technicians at Bill’s Heating & Air Conditioning today and breathe better tonight!